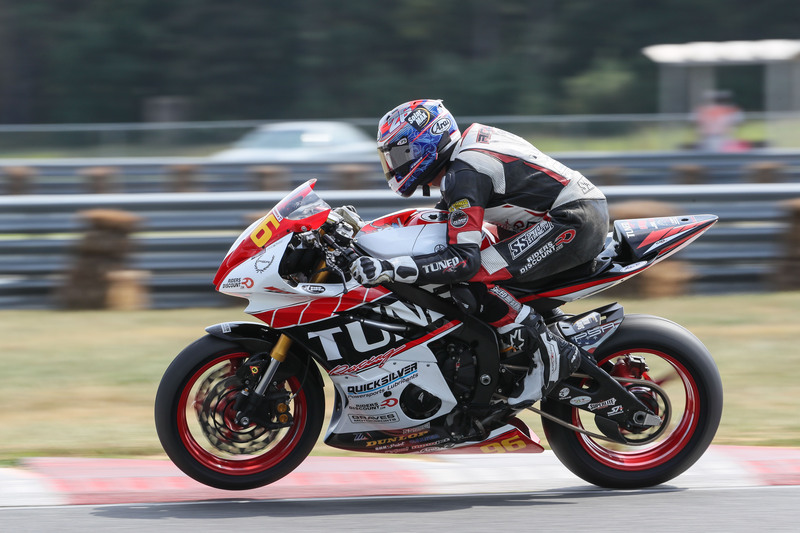 Bryce Prince takes first in race two at NJMP. Photo by Brian J. Nelson. 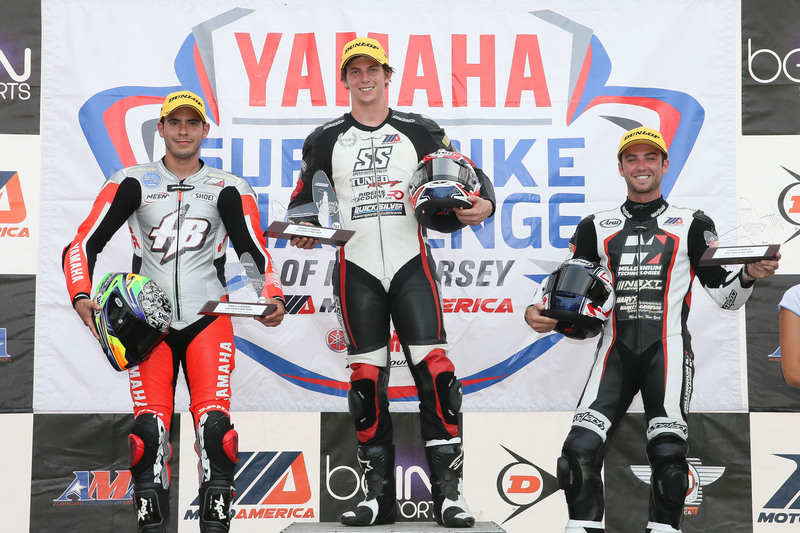 MILLVILLE, N.J. (Sept. 13, 2016) — The 2016 MotoAmerica Superstock 600 season came to a close for Riders Discount/Tuned Racing at New Jersey Motorsports Park on Sunday. Rider Bryce Prince finished second in race one and took first in race two. Prince had an incredible season, taking a total of nine wins in addition to the championship title. Rider Jason Aguilar did not finish either race due to mechanical issues. Despite a challenging season, Aguilar is focusing on recovering and looking forward to next year. Jason Aguilar at NJMP. Photo by Brian J. Nelson.